The grassroots event that encouraged consumers to 'shop small' generated 15pc more cash for SMEs than last year. Small Business Saturday, an annual grassroots event that promotes small businesses and encourages consumers to purchase from small, local shops, has helped drive an estimated £717m of sales for UK SMEs. Saturday 3 December was the fourth annual “shop small” day, and the final sales tally was 15pc higher than the previous year, according to a survey by American Express, which polled more than 3,600 UK adults in the 36 hours following the event. Kirsty Hillyer, co-owner of Frilly Industries, a jewellery-maker based in Birmingham's Jewellery Quarter, told Telegraph Small Business Connect about how the event had helped businesses in her area. 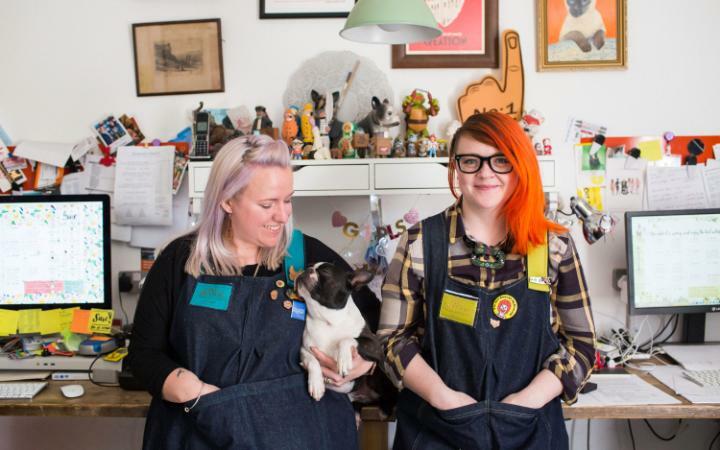 “It was a massive boost to local makers and a validation of their work,” she said. Ms Hillyer helped organise a pop-up market that featured 44 different crafters from the city. Footfall was impressive, she explained, with more than 2,000 punters visiting the market, despite three other local markets happening at the same time. “We’re looking to host other events at other local venues [next year] and we’ve seen a rise in commissions from the day,” she added. While there were many markets and in-store offers during the day, with 80pc of local authorities lending support through actions such as free parking, online sales also saw a significant uplift. Sanjay Aggarwal, co-founder of Spice Kitchen, said that his business had a record-breaking day, with online sales rising by 60pc compared to a regular Saturday. “This, alongside two successful events at the Winter Arts Market in Liverpool and Altrincham Market in Manchester made it a great day for us,” he said. He added that sales were boosted by offering a free pack of mulling spices with all online orders, an effort mimicked by many retailers, which also created live events and in-store promotions to encourage customers to linger and complete purchases.